For more than 40 years, Napa native Michael Quinn has worked in the wine business, soaking up knowledge and fine-tuning technique. Quinn has also forged connections with many of the best growers and vintners in the valley. 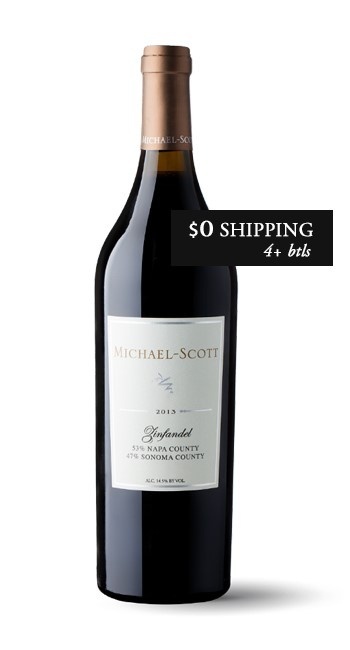 This value-packed, brawny red was produced in large part thanks to these friendships, from old plantings of Zin (a portion from 70+ year old vines growing just outside Napa’s city limits) sourced from both Napa (53%) and Sonoma (47%) along with a touch of Petite Sirah, Carignane and Mourvèdre. Normally, source fruit of this pedigree would translate into a price two times more. Let’s just say it pays to have good, old friends with amazing vineyards. Intense and well-structured, with zero new oak, the palate is a concentrated mix of red berry and dark stone fruits with plenty of zippy spice and soft, melting tannins. 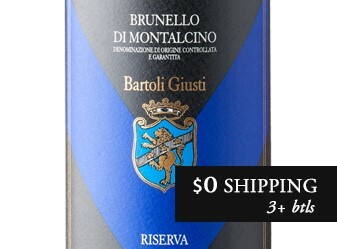 · This 2013 Zin took home a Silver Medal from the San Francisco Chronicle Wine Competition. · Fruit was sourced from two single vineyards, both of which are planted to 75+ year old vines. · Proprietor Michael Quinn began working in the wine industry back in 1975 as a viticulturalist at Mondavi. Quinn opened his own, small-production winery 25 years or so later, and from its first vintage Michael-Scott focused on hand-crafted Zin and Cabernet. · A minimalist approach at the winery means gentle handling of fruit, fermenting with native yeasts only and using neutral oak so as not to overpower the wines. The Sonoma Zin exhibits lush raspberry fruit richly entwined with savory plum, cedar, and exotic spice. Together, this densely structured, deep purple blend of rich ripe fruit characters linger elegantly to a soft supple finish. Michael Quinn got his start in the wine industry in 1975, first working as a viticulturalist at Mondavi, then as Vineyard Manager at Stanly Ranch. He founded his boutique winery 20 years ago. With small production runs of 400-600 cases of each variety, he focuses on crafting wines from Zinfandels and Cabernet Sauvignon fruit. Quinn’s approach to winemaking involves first and foremost respect for the land. In the cellar it includes gentle handling of the fruit, fermenting with native yeasts, using neutral oak so as not to overpower the wines, and minimizing filtering to preserve maximum varietal character. Serve with roast pork in a barbecue glaze, pepper steak, or a grilled portobello mushroom burger with blue cheese.